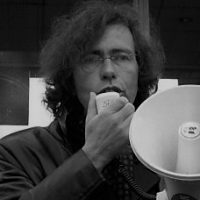 Lieven De Cauter is a Belgian philosopher, art historian, writer and activist. He teaches philosophy of culture in the Department and Faculty of Architecture of KU Leuven and RITS, School of Arts. He has published some dozen books on contemporary art, experience and modernity, on Walter Benjamin and more recently on architecture, the city and politics.